Pet Loss Celebrity Style: Any Difference? You are here: Home / Care for Pet / Pet Loss Celebrity Style: Any Difference? Within the last week and a half two celebrity giants, Oprah Winfrey and Martha Stewart, have both experienced devastating pet loss. Pet loss celebrity style doesn’t mean the pet loss is any less devastating or traumatic—it just means that it is public instead of private. Oprah Winfrey is no stranger to pet loss but I imagine that she didn’t expect to lose her newly adopted puppy shortly after she received Ivan and Sadie from the PAWS Shelter in Chicago, Illinois. Viewers around the globe were thrilled with the adoption announcement. However, the joy and lack of sleep from the demands of raising a new puppy became a living nightmare when puppy Ivan succumbed to a deadly strain of canine parvovirus over the weekend. Nobody expects to lose a puppy to illness shortly after they arrive home–but it happens. Pet loss can happen unexpectedly at any time. The lesson in this loss? It doesn’t matter who you are, or where your new furry family member comes from, disaster can strike. Oprah’s pet loss, like many of the challenges she has faced, will probably be used to motivate people to make sure pets receive the proper pet vaccinations at the right time to mitigate the risks that a new pet might face. I would also hope that better intake and quarantine procedures become the standard in more shelters and rescue groups around the nation to help prevent future tragedies. Sadie is currently hospitalized and undergoing treatments with plasma from immunized healthy dogs as a precaution until she can receive her next shot in the series. Canine Parvovirus is spread dog-to-dog, through feces or from exposure somewhere in the environment. Contaminated kennel surfaces, food and water bowls, collars and leashes, and the hands, clothing, and shoes of people can transmit the disease as well. Symptoms include lethargy, loss of appetite, explosive and often bloody diarrhea, and dehydration. Parvo is a horrible disease that kills many animals despite aggressive treatment. If you suspect your animal has contracted Parvo, don’t delay get treatment right away. Canine Parvovirus Type 2c is a new strain of Parvo sweeping across the nation and posing a threat to unvaccinated dogs of all ages. Canine Parvovirus Type 2c (CPV-2c) was first detected in Italy in 2000 and has also been reported in Western Europe, Asia, and South America. Outbreaks of canine parvovirus associated with CPV-2c in the United States were confirmed in 2006 and 2007. Canine Parvovirus Type 2b (CPV-2b) is the most common variant of the canine parvovirus in the United States, but CPV-2c is fast becoming the second most common variant. Although there is no vaccine to specifically prevent CPV-2c infection, studies have shown that all of the currently available vaccines produced by the five major vaccine manufacturers (Fort Dodge Animal Health, Intervet, Merial, Pfizer and Schering-Plough), when administered appropriately, provide excellent immunity to all variants of the canine parvovirus. 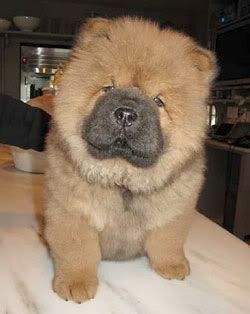 Martha Stewart is also no stranger to pet loss and shared the loss of her beloved Paw Paw in April of 2008. So, it was with great joy that she reported the arrival of Genghis Khan in December of 2008 but her life with him was cut short a week and a half ago when Genghis Khan died in a bizarre incident. A routine propane tank filling operation resulted in a blast that turned into a raging fire at Karen Tracy’s Pazzazz Kennel in Pennsylvania where he was being kenneled. The latest reports are that 17 dogs died as a result of the explosion and the surviving dogs suffered first, second and third degree burns. What can this incident do to catalyze good? Hopefully prompt every animal facility to have a disaster plan for such situations. Warning this video and the story photos are graphic in nature. Read the Pazzazz Kennel Fire story here or here. The community came together on this issue but the recovery period for the business and all those involved will be a long one. However, this news did not stop the new pet initiative announcement this week about how Stewart’s dogs, Francesca & Sharkey, sponsored by Purina, will move beyond hosting The Daily Wag–a blog written from the dog perspective into television programming, radio, and more. How Long Does Pet Loss Recovery Take? Surviving pet loss is a different journey for everyone. In some instances people move on quickly while others grieve for longer periods of time. Whatever the case, it is a personal journey that required the understanding, compassion, and support of those closest to the pet owner. 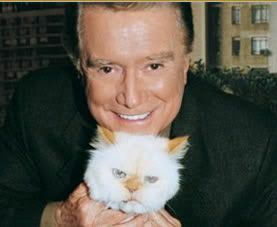 Regis Philbin, a popular morning show host, lost his pet cat Ashley in 2004 and mentioned how he was still having a hard time with the loss as recently as last year. Some people move on quickly while others take years. Pet loss is a difficult path and there are many stages of grief that people experience. Grieving the loss of a pet is an extremely personal journey and although the celebrities have a very public persona, their private lives and loss should remain such. In my book, What Animals Can Teach Us About Spirituality: Inspiring Lessons from Wild and Tame Creatures, I share my personal journey and the very personal story leading up to the euthanasia of my dog, Clyde. Included in that chapter are the answers concerning the viewpoints on the souls of animals and where those viewpoints came from…important questions especially during the recovery from pet less. It took me five years to cease active grieving after that loss–and then my parrot passed on while I was away on a trip. So, my next book, Blessing of the Animals: A Guide to Prayers & Ceremonies Celebrating Pets & Other Creatures, was dedicated to her memory and I made sure to include a wide variety of ceremonies and celebrations for all stages of life with an animal. Both books were cathartic for me. If you have a friend that has lost a pet—or are someone who has lost a pet here are some Pet Loss Resources. Recovery takes time and it will be interesting to see how each media personality continues to deal with their loss. Photo copyright & credits: Oprah with Sadie courtesy of Harpo/Oprah.com; Genghis Khan courtesy of Omnimedia/MarthaStewart.com; Regis Philbin with Ashley courtesy of AnimalFair.com. My name is Cathy, I am a 45 year old housewife currently attending college online. I had a 9 month old Timber Wolf named Nibbles. I raised Nibbles since he was 3 weeks old. To me Nibbles was my son. I love him with all my heart. It brings tears to my eyes writing this. It was 6 weeks and 5 days ago, I went out to play with Nibbles and he was gone. I was devistated. I searched the neighborhood, and still do, I put a ad in the paper offering a $100 reward for anyone who could lead me to Nibbles. I put up posters everyplace with the offer of $100 reward. I received a couple of calls but I still have not found my baby. I am so lost without him. I see his little face in my head all the time. I feel as if my baby has been kidnapped. I don’t think I will ever get over my loss. Thanks for stopping by Cathy. Sorry for your loss. Keep checking since animals show up months later sometimes.